Are you still looking for the perfect job for your lifestyle? We’re always on the lookout for great work-from-home opportunities! Remote customer services jobs are a good fit if you’re looking for the flexibility of working from home and the stability of a full-time or part-time job with an established company. You can often work non-traditional hours if it fits your schedule and work in sweatpants, if that’s your style. Are you passionate about interior decorating? You’ve probably spent your share of hours inside a Pier 1 Imports store! The company is hiring remote customer relations associates near Fort Worth, Texas. A customer relations associate takes incoming calls from customers to help make purchases or resolve issues. This is a work-from-home job with hours including holidays, evenings, weekends and weekdays. Your schedule would be flexible, and you can work full-time or part-time. Pier 1 offers “competitive pay and benefits,” plus a 25% employee discount as soon as you start. Paid training starts March 6, and you’d need to work from the corporate office in Fort Worth for the first 90 days, plus at least two days a month going forward. Otherwise, you can work from home. Applicants should have some customer service experience. 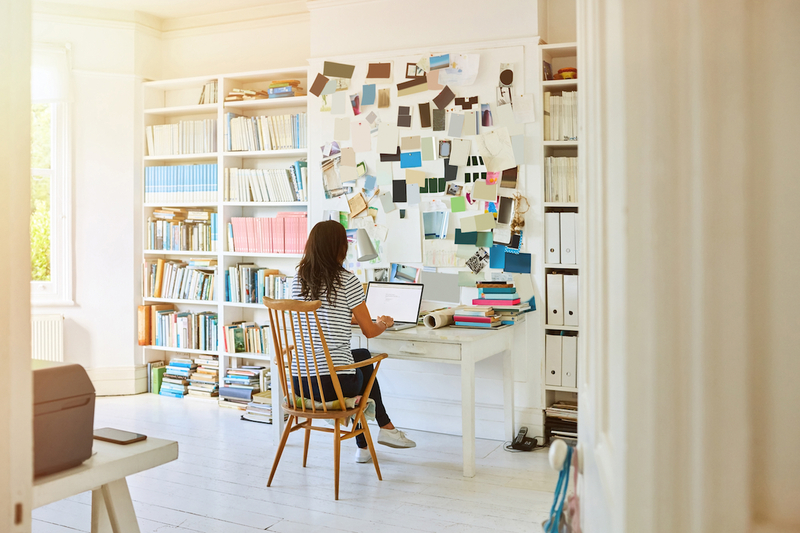 In your home office, you should have high-speed internet access (hard-wired) and a quiet, distraction-free workspace. The company would provide the necessary computer equipment. To apply: Fill out the online application and pre-employment assessment here. Conduent, a business process services company, is hiring work-from-home customer care assistants in Pennsylvania and New Mexico and a bilingual (Spanish/English) virtual call center rep anywhere in the U.S.
You would take calls from customers to answer questions, resolve issues and recommend products to suit their needs. Schedule is flexible, depending on your availability. These listings don’t specify pay, but a listing for a similiar in-house position pays $10.70 an hour plus bonuses. Applicants should be at least 18 years old, have a high school diploma or GED, and be able to pass a drug test and criminal background check. The position may require you to come into a local office or vendor site for pre-employment screening and new hire documents. To apply: Fill out the online application for New Mexico, Pennsylvania or national positions. Alan’s Factory Outlet is an online retailer and builder of garages, gazebos, carports, storage units and other structures in the southeastern U.S. The family-owned business is hiring a remote customer service sales representative to answer customer calls and emails. This is a full-time work-from-home position starting at $16 an hour. Hours are Monday through Friday 9 a.m. to 5 p.m. EST. Applicants should have at least three years’ customer service experience and an associate degree (bachelor’s preferred) and love helping people. You should also be interested in the business, as you’ll have to become familiar with all the products and services to assist customers. You should have a quiet home office with high-speed internet, a headset and a printer/scanner. To apply: Start by submitting your resume through the job listing. The hiring process will include a one-way video interview, online test, phone interview, live video interview, and reference and background check. Your Turn: Have you found any interesting work-from-home jobs lately?